How do I create a scheduled shift? Create a scheduled shift for your employees using our scheduling feature. Creating a scheduled shift is a very simple process. 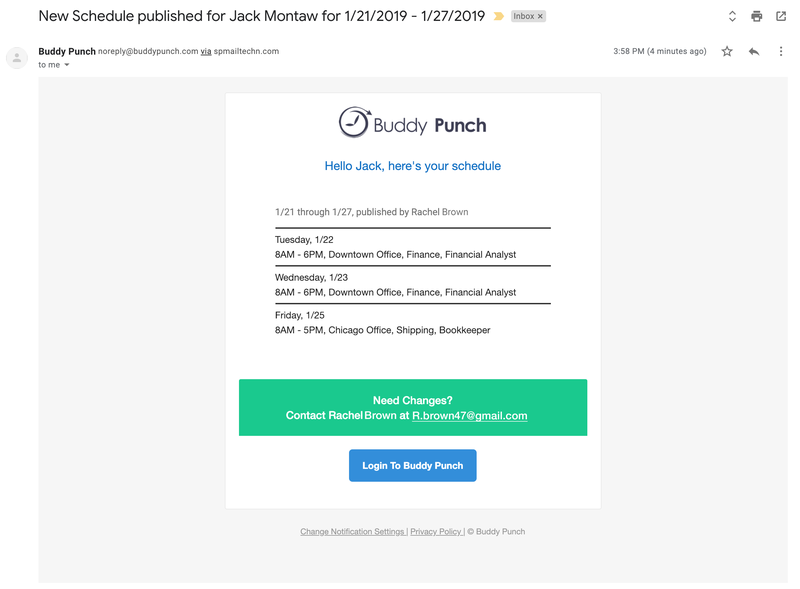 You'll want to start by visiting the Schedule page in the top navigation - this will take you directly to the scheduling calendar where you can sort your view by Day, Week, or Month. Once you've got your filtered view setup, you just need to click an open spot on the scheduling page. A box will pop up where you will be able to specify the time of the shift, assign Departments/Locations/Positions, and specify if you want to include a break. You will also be able to assign a color to the shift, add notes (which an employee can see), and copy the shift to other days of the week if needed. After the shift has been created, you'll notice it will be outlined with the color you selected. This means that the shift has been created, but not yet published. To publish you will want to select Publish in the top right hand corner. You will then be asked whether or not you want to notify the employee of their new schedule. Please note: The Publish option is based on your current schedule view. If you only want one employee to be notified of their schedule, change your filter options.